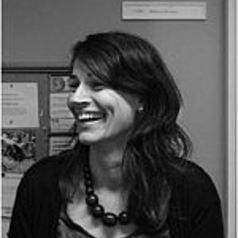 Rebecca Prentice is a Senior Lecturer in Anthropology and International Development at the University of Sussex in Brighton, United Kingdom. She is author of the technical and advocacy report, Workers’ Right to Compensation for Garment Factory Disasters: Making Rights a Reality, and co-editor, with Geert De Neve, of Unmaking the Global Sweatshop: Health and Safety of the World’s Garment Workers (2017, University of Pennsylvania Press). Rebecca's previous book, Thiefing a Chance: Factory Work, Illicit Labor, and Neoliberal Subjectivities in Trinidad (2015, University Press of Colorado), won the Society for the Anthropology of Work Book Prize.